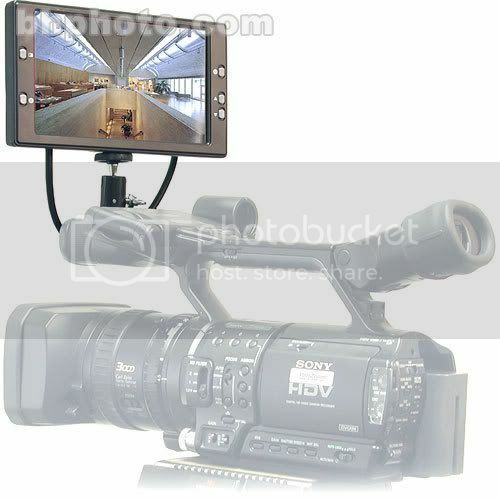 I would like to use both a LED Panel Lights & a On-Camera LCD Monitor. With only one shoot to hold one product how do I use both at the same time? The HD1000 has two shoes. The pictures you posted were of two different cams, neither of which is the HD1000. I realize that - it was just for demo purposes. The HD1000 does have 2 shoes but not next to each other. As you can see in the photos above both items were made to be installed on the front shoe. 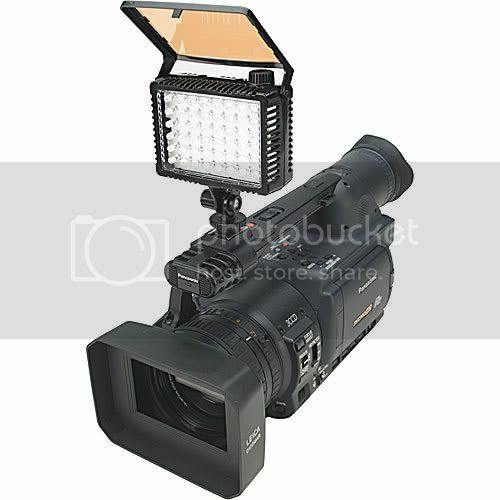 Just wondering if anyone has a set up or knows a way to have both of these items upfront - if not I'm just going to skip the Monitor as the LED Light is more critical for me at this time. There are several "Y" adapters at B&H that can turn a single shoe into two. But real Broadcast cameras always have the monitor at the rear, so I'm not sure the monitor was designed to be used in the front. Just happens to be where the shoe is, I think. I think you may be correct! I gave up on the idea. When I put the camera on my shoulder I can only imagine how annoying a monitor next to my head will be. Great for being on a Tripod but just not practical for me shooting weddings - I'm just going to get the LED Light and call it a day. When I put the camera on my shoulder I can only imagine how annoying a monitor next to my head will be. When it's on your shoulder you pretty much MUST use the viewfinder. An LCD screen would be for tripod use only anyhow. Please post your experience with the Litepanels Micro when you've had a chance to try it out (make sure you post it in the Photon Management section, though). Thanks! I sure will! My first wedding with the LED lights will be April 19th!! This past Saturday was my first wedding using the HD1000 for the first time! !